2018 Jeep Wrangler Unlimited Sport S Android / Iphone Navigation, BLUETOOTH HANDS FREE, REAR BACK UP CAMERA, MOPAR LIFT KIT, MOPAR OFFROAD WHEELS, OVERSIZED TIRE CARRIER, 35" TOYO M/T TIRES, ABS brakes, Compass, Electronic Stability Control, Low tire pressure warning, Traction control. This Vehicle qualifies for Complimentary 10 Year 250,000 Mile Limited Power Train Warranty. Huge Value! See Dealer for Details. Price includes: $500 - 2018 MY Military Program 39CJB. Exp. 01/02/2020, $500 - Freedom Days Bonus Cash 44CJA7. Exp. 04/30/2019 Price includes dealer added accessories. 2018 Jeep Wrangler Unlimited Sport This Vehicle qualifies for Complimentary 10 Year 250,000 Mile Limited Power Train Warranty. Huge Value! See Dealer for Details. Price includes: $500 - 2018 MY Military Program 39CJB. Exp. 01/02/2020, $500 - Freedom Days Bonus Cash 44CJA7. Exp. 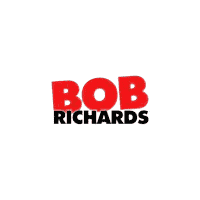 04/30/2019 $1,000 - Bob Richards Trade Assistance *For well qualified buyers with approved credit when you purchase from dealer stock. Vehicle must be 2009 or newer and requires valid proof of ownership at time of sale. Prior sales excluded. - Exp. 04/30/2019 Price includes dealer added accessories. Sale Price includes all available discounts, customer cash, incentives and rebates from the Manufacturer of the vehicle and or its subsidiary. All Prices plus tax, tag, and title. Our Internet Prices includes available factory rebates and incentives. Please discuss with your sales representative to determine if you qualify for these incentives before purchase. Our Prices include our Processing Fee of $579.00. Prices listed online are valid for 24 hours. You are required to present the Internet Price and or any special offers extended to Dealership Management upon arrival at the Dealership and before purchasing. You may not combine Internet Discounts with other offers advertised. The published price is subject to change without notice to correct errors, omissions or market demand adjustments. All vehicles online are available for sale. We will not hold vehicles for delivery without prior approval from the General Manager. Please contact the Dealership for additional information. This (10) ten-year (250,000) quarter million-mile warranty is valid on all vehicles deemed New and the vehicle has never been titled. This is a Limited Powertrain Warranty only. The (250,000) quarter million-mile clause is to be added onto the current number of miles on the New Vehicle at the time of delivery. Example: New Vehicle has 111 miles at time of delivery, then the warranty will expire at 250,111 miles or (10) ten-years, whatever comes first. Please keep in mind that all Factory Recommended Maintenance must be done to keep the warranty valid and we strongly recommend that the maintenance is done at a Murphy Auto Group Dealership, even though it is not required. See Dealer for complete details.